A body recovered from the wreckage of the aircraft carrying Premier League footballer Emiliano Sala has been brought ashore. The Air Accidents Investigation Branch (AAIB) told Euronews the operation took place under "challenging conditions". It's unclear whether the body — which is being transported to a coroner in Dorset, England — is that of Sala or the pilot of the aircraft. However, further recovery efforts for the aircraft wreckage were called off due to poor weather conditions. 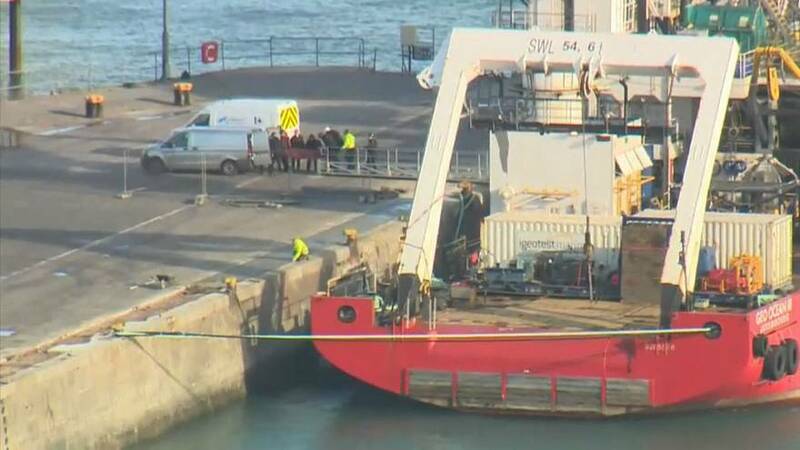 The successful recovery attempt came just four days after AAIB investigators discovered the wreckage, confirming at the time that a body was visible. "Tragically, in video footage from the ROV (remotely-operated vehicle), one occupant is visible amidst the wreckage," the AAIB said in a statement. Sala was announced as Cardiff's record €17.1 million signing after the team reached a deal with his previous club Nantes FC. Sala returned to the French city to say goodbye to ex-teammates on January 21st before boarding the plane to Cardiff in the evening. His plane disappeared from radar near the Channel Islands.